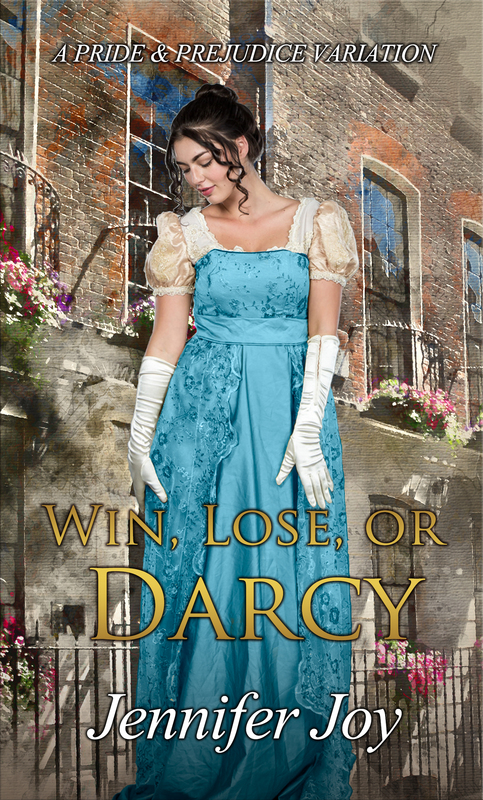 Last month I was very happy to do the cover reveal for Jennifer Joy’s latest release Win, Lose or Darcy. Along with the cover reveal, we posted an excerpt and Jennifer Joy brought 4 e-book copies to giveaway to some lucky winners. As always both the cover and the excerpt were a success with lots, and lots of comments and positive remarks, so I would like to thank once more to each and every one of you! You are the ones who keep us motivated to write and share the latest news in the JAFF world. I would also like to thank Jennifer Joy for once more hosting such a generous giveaway and for always taking the time to reply to all our readers. Please send me your e-mail contacts to ritaluzdeodato at gmail so that I can pass them along to Jennifer for the eBooks to be sent to you. Thank you – I was just thinking about purchasing this as I wanted to read it, having finished a book earlier in the day. I’m so excited to win a copy. Thank you for the posts and thank you, Jennifer for the generous prizes. Happy Reading to the others! Congratulations!!! Thank you for your kind comments, and to you, Rita, for making this giveaway possible! Congratulations to the lucky winners. Enjoy! !